Integrating back into civilian life can be challenging. Army Reservist Modesta Muturi was unemployed for eight months after returning from a year and a half deployment in Kuwait. 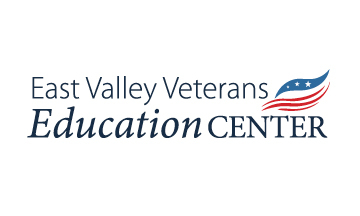 After an unsuccessful job search, her husband recommended she use the career resources at the East Valley Veterans Education Center in Tempe. “The EVVEC was my starting point for finding a job. They pointed me in the right direction and I was determined,” said Muturi. The center offers educational, employment and workforce development workshops as well as referrals to community resources. It has served more than 700 veterans since it opened in 2011. Muturi was soon hired as an oral surgery assistant at Bright Now Dental in Mesa, AZ and travels all over the Valley with the company. Also, after returning from deployment, she became a full-time student. Her new- found employment in addition to the financial assistance from her military service allowed her to pursue a higher education. Muturi also took advantage of educational resources by completing a class at Mesa Community College to satisfy nursing prerequisites. “During my sophomore year in high school I was part of the Arizona Health Academy and worked in the Maricopa Integrated Hospital for the summer. When I was there I worked two shifts, one in the ER and one in physical therapy. That’s where my interest grew,” said Muturi. She hopes to earn her bachelor’s and master’s in nursing. She’s currently been accepted to Grand Canyon University and the Chamberlain College of Nursing and is waiting to hear back from the nursing program at Arizona State University. She has also received a letter of recommendation from an EVVEC staff member for a scholarship. The EVVEC is a collaboration of Rio Salado College (host institution), Chandler-Gilbert, GateWay, Mesa, and Scottsdale community colleges. It is conveniently located in Tempe, at the intersection of Broadway Road and Cottonwood Drive and provides veterans with educational and career resources. For more information visit http://www.evvec.org or call (480) 384-9850.